Hey folks! 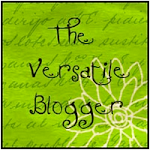 I stopped by Tunstall's Teaching Tidbits, and found something really interesting she posted about. 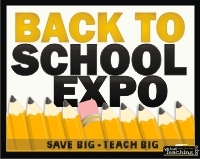 The Back to School Expo has 5 virtual presenters on 5 different topics in education. I wanted to check it out for myself. Seems like a pretty neat idea. Since I can't attend any conferences in the United States physically, I am totally psyched that I can do this online. There are only 14 hours left to buy your ticket for just $10. Tomorrow the price goes up to $19.95. Check out the details and decide for yourself. I'll definitely tell you my opinion afterwards.